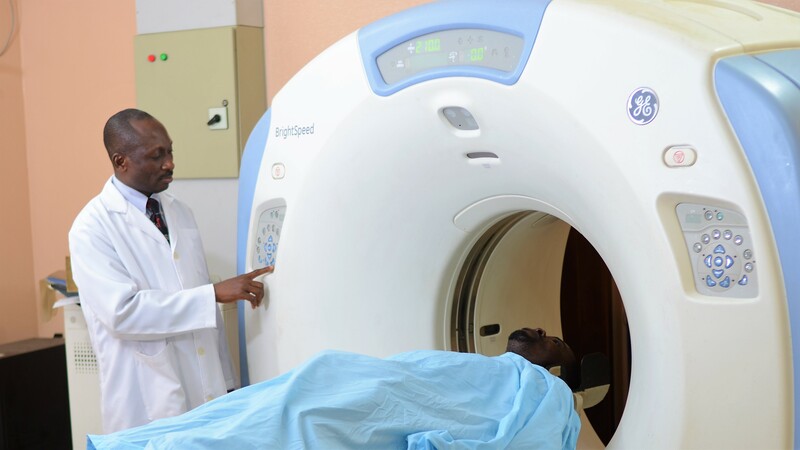 The department of radiotherapy/clinical oncology came into being in the year 2007, during the second phase of the Federal Government of Nigeria/ Vamed Engineering Rehabilitation of Teaching Hospitals project, under the then President Olusegun Obasanjo. it provide specialised Clinical Services at Local and National Level. Patients are assesed into the department through Accident and Emergency Unit. Consultant out-patient Clinic are held on Wednesday between 12;00pm – 5:00pm, while Monday is utilized for Radiotherapy planning. The administration of Chemotherapy is usually on Thursday and Friday as a Day care Service. 2 To Provide quality teaching and academic training, at undergraduate and postgraduate level to all stakeholders in cancer care. 3 To participate and continually develop a research programme, that will advance the field of Science and Oncology worldwide. 4 To establish and promote multidisciplanary team work in cancer Management at all level. Radiotherapy & Clinical Oncology Department is made up of the following specialties. 11 Other Supportive Staff like Social Worker, Nutritionist are not Resident under the department. These facilities are backed up with uninterrrupted power supply. The departmental Clinical meeting hold every Wednesday at 10:00am. It consists of consultant serminar, postgraduate seminar, Journal review, Clinical clerkship, case review, Drug presentation and interdisciplinary team workshop. the department is involve in training of medical students and residents from other departments who are on clinical posting. the department collaborate with other specialties in hospital and University to carry out research work for the advancement of society and academics.